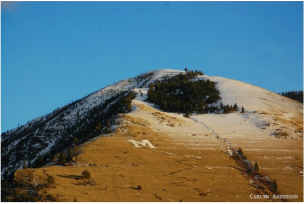 ﻿We envision Missoula as a caring community, focusing on health, preparedness, personal and community resilience to create a healthy community in which people thrive, even in the midst of climate change stress. ﻿ Our community will enhance our climate-related disaster and threats preparedness, educate Missoulians about the climate-health link, and build more resilient individuals and community. Climate and Health has been a hot topic around the country. In this region, wildfire smoke and extreme heat are serious health issues. We continue to grow Summer Smart as one of our major priorities. Healthy Communities is our May 9, 2019 Monthly Meetup. Save the date. Did you catch the excellent webinars on Human Health and Climate Feb 27 + Feb 28? If you missed, check them out here. Thanks to the Montana Institute on Ecosystems, the American Lung Association, and the UM School of Public and Community Health Sciences for putting on this great series. Support networks such as neighborhood councils, churches, and affinity groups to prepare to work together as needed. Help assure that community wide preparation is occurring for anticipated threats: fire, flooding, avalanche, high temperatures, air pollution, and drought. Work with existing programs to encourage sharing of resources when scarce. Engage with the City-County Health Department and other health-related agencies to include health impacts of climate change in the annual Health Impacts Assessment. Work with Health Department to share information about climate risks to health. Identify list of resources for dealing with health impacts. Encourage hospitals and clinics to be prepared for periods of high smoke exposure, high temperatures and other risks. Develop metrics for reporting on climate related risks and health events. Offer education on emotional well-being to help build resources to recover from difficulty. Teach methodologies to reduce stress and fight/flight response. Build and support social networks: neighborhoods, churches, affinity groups. Create opportunities for public dialogue and participation with a high degree of tolerance and trust (safe forums). Link with other communities in Montana and the northwest to share strengths and resources. Reward and recognize acts of kindness. ​Check out our Summer Smart program - all about staying healthy and building resilience in light of changing summer conditions. We can expect more smoke and heat in the future - our resources can help. Mental Health is a big part of community health. We have a new page exploring the nexus of climate and mental and emotional health. Let us know what you think. This feature from Open Spaces, Climate Action is Good for Health, has some neat visuals that illustrate the connection between health + climate. Our March 2017 Monthly Meetup was all about co-benefits and how to talk about climate change and health. Read Abby's blog here! In October 2016 over 100 health professionals and community members attended our Health and Climate Summit! Check out our resource page here. For more on the climate-health connection, in March 2016 we sponsored Climate, Health, and Humanities: A Community Conversation. September 2017: Interesting article linking trees and health! The benefits are clear - trees are good for the whole community. The Harvard School of Public Health has a comprehensive climate, energy, and health program.